Now that the Ashes are back where they belong(!) it seems a good time to talk about Cricket. Our colleagues at PhysioAdvisor.com have some good advice for prevention of injuries in Cricket Players. Injuries in cricket are common, particularly to fast bowlers. Often these injuries are due to overuse and tend to present gradually over time. 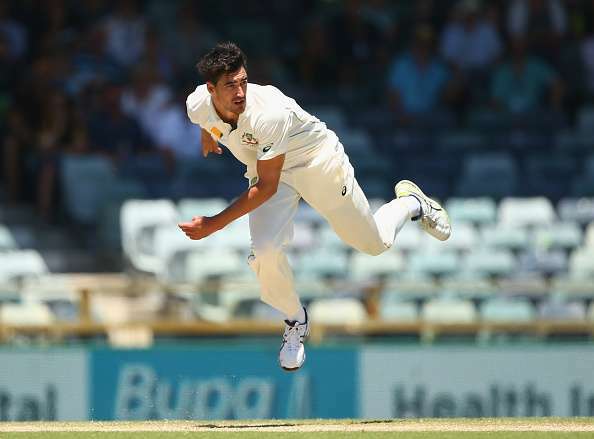 Injury prevalence rates in fast bowlers have been recorded at 18%, which is significantly higher than other disciplines: batsmen (7%), spin bowlers (6%) and wicket-keepers (4%). In younger fast bowlers (under the age of 25), lumbar stress fractures are the most prevalent injury. These injuries tend to occur on the non bowling arm side of the lower back and are typically due to technique errors (such as a ‘mixed bowling action’ or excessive ‘counter rotation’) and/or excessive bowling workloads. In the older fast bowler, however, degenerative lumbar injuries tend to occur more commonly, usually affecting the lumbar discs. Other common injuries to affect fast bowlers are side strains, posterior ankle impingement, and patellar tendinopathy. The injury with the highest incidence in cricket, however, (across all four disciplines) is a hamstring strain. Traumatic injuries to the hands and fingers are also common, usually as a result of excessive impact of the ball when fielding, wicket-keeping or batting. Throwing injuries, such as rotator cuff tendinopathy, rotator cuff tears and SLAP lesions are also commonly seen. Have your bowling action and throwing technique assessed by an experienced cricket coach or cricket physiotherapist to ensure it is safe and efficient. Work closely with them to improve your technique on a regular basis. Keep a bowling diary of the number of balls you bowl throughout the week in both matches and at training. Try to avoid sudden increases in the amount of balls bowled per week or per session. Also try to avoid weeks where you do not bowl at all. For bone and tendon health, you need to maintain a safe and consistent weekly workload throughout the season, ideally bowling at a ratio of one day on and two days off. Try to avoid long ‘spells’ on consecutive days. If you know you will have a big bowling workload in a particularly match or cricket carnival coming up, then try to gradually increase the number of balls bowled in the weeks leading up to prepare your body. Follow the ‘10% Rule’ to minimise the risk of overuse injury. This means only increasing one variable (intensity, duration or frequency of activity e.g. number of balls bowled) by no more than 10% per week. At the start of the season, gradually increase your bowling workload at training over a number of months rather than suddenly going straight into matches. Many cricket injuries can be attributed to poor fitness or conditioning, poor flexibility, excessive body weight or skin folds and poor strength or activation of the core stabilisers, such as the gluteals, abdominals, scapular stabilizers, rotator cuff and lower limb muscles. As part of your training, ensure you spend enough time working on improving your cricket specific fitness, such as repeated run through and agility drills, cricket specific strengthening, core stability and proprioceptive exercises (make an appointment with your Peninsula Sports Medicine Group Physio for more information). A variety of activities that help develop total body conditioning for cricket, including fitness and muscular strength, endurance, co-ordination, flexibility and power is essential. Wear correctly fitted protective equipment (such as pads, gloves, helmet, protector, mouth guard, protective eyewear etc). Use your own properly fitted equipment rather than borrowing someone else’s. Ensure your equipment is in good condition and ‘up-to-date’. For more information or to make an appointment, you can BOOK ONLINE or call your local clinic.